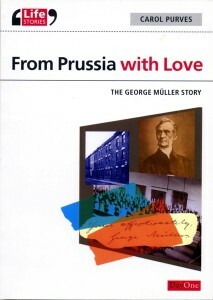 This is the story of George Muller, who was a Prussian called by God to London, the West Country and finally to Bristol. As he rescued thousands of children from the dangers and degradation of the slums, he was able to build five large dwellings for them high above the pollution of the city. In doing all this he relied solely on God for all their needs. There were no fund raising efforts so popular today, just prayer. This book was written to commemorate the 200th anniversary of his death. Today the work has diversified into caring for old people and families in local churches with many needs. The principle is the same, God will provide. Interesting facts – Did you know this upright Christian gentleman was a thief, womaniser, and heavy drinker? This of course was before he heard the gospel and accepted it for himself. Did you know George Muller rescued thousands of orphans from the slums of Bristol, financed only by donations prompted by the power of prayer? He sometimes prayed all night, but still had the strength to live into his nineties. These facts and many more are revealed in this book.